Ocean King 2 Fish Hunter Machine -Monster’s Revenge PCB Kit is a PCB Upgrade Kit to upgrade your current Ocean King machine or fish hunting cabinet. This game is a popular 8 players video arcade machines from fish hunter machine series. 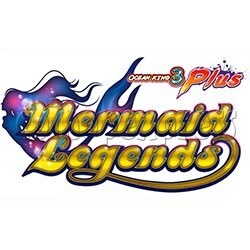 It comes with some of the Ocean King original features, same joystick controlling weapon to catch as many fish as possible from the other arcade edition, amazing updates with new characters, new giant fish - small, low profit fish, new four BOSS characters, more powerful guns and weapons added, this edition is far more action-packed, will attract any player. 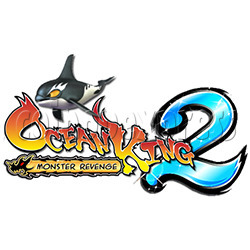 Ocean king 2: Monster's Revenge is with a high resolution, 55″LCD display perfect 3D graphic effect, displays many marines characters in the huger undersea words. The game play returns 16 old characters from other original Ocean King games, including: Lion Fish, Lantern Fish, Flounder, Snapper, Clown Fish, Fugu, Devilfish, Butterfly Fish, Sea Turtle, Saw Shark, Lobster, Octopus, Shark, Overlord Humpback Whale, Killer Whale and a revised version of Bomb Crab! New characters included in the Ocean King 2 include Fire Dragon and Electromagnetic Cannon Crab, and there is also a new feature of the game where low profit fish, such as Clown Fish, Butterfly Fish and Fugu, are super sized – this makes them harder to kill and worth more points. * The Prehistoric Giant Crocodile: he will attack players as he swims by, damaging their weapons. * The Night Monster : who makes the screen go dark, and it becomes very hard to see any of the other fish to score points. * Overlord Crab : all hail! This king of crabs can be taken out either by damaging his pincers or killing him directly. * Deep Sea Octopus : this monster is too huge to fit on the screen, players must attack his tentacles to defeat him! - Drill Cannon - ricochets from one side of the screen to the next, damaging and/or killing everything in it's path. Once it has travelled as much as it can, it explodes taking even more fish. - Chain Explosion Crab - otherwise known as Bomb Crab. This revised character weapon doesn't just explode once like in the original, it explodes a whopping 3 times, moving around the screen with each explosion! This is capable of killing all fish in range with a maximum of x10 credits to players for huge point earning potential! - Flamestrike De-Buff - this feature appears at random. Players must shoot the weapon in the specified time and they will be eligible to get Double Score or Extension of Shooting time, making this a key weapon for achieving high scores. - Never-before seen mini-game called Battle in the Golden City, which is free to enter. The game appears randomly and players must catch the fish within the time limit. Score potential is unlimited and players can get rewards, such as Double Treasure Chests! - player uses the joystick to aim related net gun the fishy targets. - when player has lined up a target, hit the ‘SHOOT’ button to try and catch the fish as they swim by. - player can also use the ‘WEAPON’ change button to change the type of gun and net size they are using – there are three main guns which players can switch between at any time during the game. - when player has finished hold down the payout button for 3 seconds to collect corresponding tickets.